It may be overwhelming for an inexperienced person to choose a suitable action camera. Thus, before I dwell any further onto the realm of action cameras, let me explain to you what an action camera is and how to buy an action camera. What Is An Action Camera? ike normal camcorders and cameras, are able to film and take photos. However, what makes it unique is that it is made for outdoor enthusiasts, and hence it is usually made to be really compact, portable and durable. Other than that, it also includes many features such as waterproofing, shock proofing , all of which to make it more durable when filming, especially in extreme situations, eg. Scuba-Diving, mountain-biking, etc. Be it an expensive flagship 4K camera, or one below below $100, there are many features you should look out for when buying one. Amount of pixels in each frame which corresponds to the detail of the film. 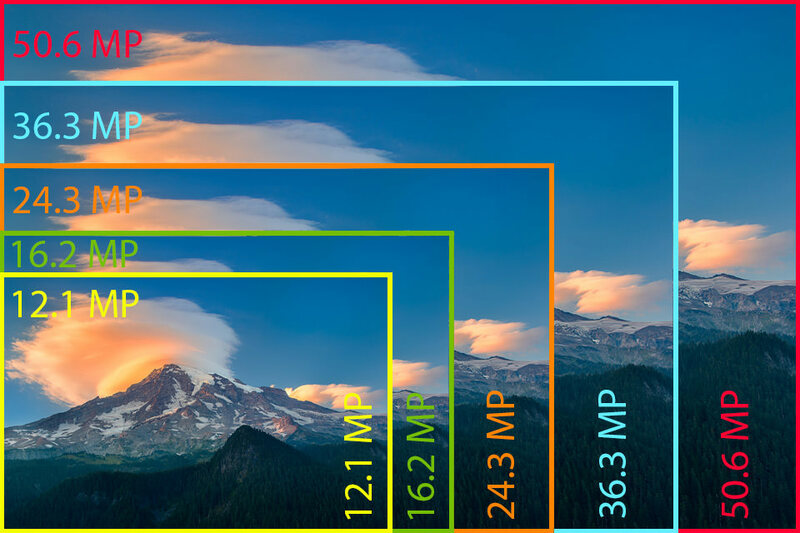 4K resolution (3840 x 2160 pixels) has four times asmany pixels as a FULL HD (1080p), which has 2 1/2 times as many pixels as a standard HD resolution (720p). It is measured in angle. 180° means it is able to record everything in-front of the lens. Most action cameras have a field of view greater than 150° because it allows more details to be recorded, resulting in a more immersive perspective. As an editor of the footage, you would also have more freedom to choose from. Hence, most of the time, the wider the field of view, the better. FPS is the number of frames or images, the camera can record in a second. Most standard actions cameras have a 30fps shooting speed and movies that you see are usually recorded in 30fps as well. However, if you are planning to record something that moves very fast, or in slow-motion, higher end action cameras can record up to 240fps. Therefore, the higher the FPS, the smoother and crisper the footage is. A secondary function of actions cameras is to take pictures. Similarly to the video resolution, the more pixels, the more details it is able to capture, and hence the sharper the image would be. Another thing to note is the duration of the battery life. Most battery lasts about a few hours (idle + filming) and hence if you are using it more than a couple of hours per day, such as during travelling, it is noteworthy to buy a couple more batteries or a portable bank to last you through the day. Check out my action camera battery guide here! An especially important thing to take note if you plan to submerge it underwater. Most action cameras are not water-resistant by itself and thus require an additional water-proofing case, which most of the time comes together with the camera. Most waterproof action cameras are able to film normal underwater footages, like swimming, snorkelling, etc, however, if you wish to bring it down with you when you scuba-dive, you might want to check with the manufacturer or the retailer. Most cameras come with a micro-USB port to transfer data over quickly and reliably. However, there are some with Wi-Fi, or Bluetooth connectivity to allow you to connect to your smart phones or tablets, to allow viewing of live footages. An example of this being useful is when you mount your camera to somewhere where it is really compact and the screen is blocked. You can then use this wireless feature to view it and check what you are recording and even change the settings remotely. Click here if you are interested to look at my product reviews! Click here to look at my other guides, tips and tricks to get the most out of your action cam! Fake Frame Rates in Action Cams? Sony Action Cam vs GoPro: Which Is Better? Hi glad you find it useful. If you want to know more about the cameras specifically, you can visit my product reviews page to see if there is any that you are interested in. Thank you and have a nice day! Great information on action cameras. Some of the features some of these have a simply fantastic these days. The fact that some of the video quality is 4K is pretty awesome and looks great on a 4K television. Do you have any recommendations as to which are the better options in terms of quality. The GoPros are normally the most popular but I have heard that the Garmin models are also pretty decent quality. I feel that nowadays despite the price being really low like the GeekPro EOV1 Plus action camera and SJCAM SJ4000, the quality is not compromised and hence I would usually go for that as I wouldn’t want to invest much because in the event I lose it, it’ll be less of an heartbreak. =P Regarding the GoPros and Garmin, I would highly recommend you to buy it ONLY IF you need the specific features that it offers. Thanks for dropping by and wish you all the best! Do these cameras come with strapping of some kind that one can attach to your helmet when doing mountain riding. I often see folks have it attached to their helmets and would like to know if this is a separate accessory that one has to purchase? Hi thanks for reading and really glad you found it useful. Regarding the strap, it is actually called a helmet mount which comes together with many cameras such as the GeekPro and SJ4000 which I wrote reviews about however, if you are buying a Go-Pro or any other flagship models, they don’t usually come with it and has to be purchased separately. Thank you and I wish you all the best! I’ve been searching for a camera that I could use while kayaking down the river, so it would have to be waterproof. I’ve already looked at the GoPro but that thing is just too damn expensive. I would also like to have at least decent quality of the recording. 30 fps and at least 16MP would probably be fine. Do you have any suggestions (mid-range price)? Hello Degan! If you are looking for an action camera with that specs, I would recommend something like the Eken H9R or GeekPro EOV1 Pluswhich is something really affordable and can be used while kayaking down the river as it provides the mount and also is fully waterproof.